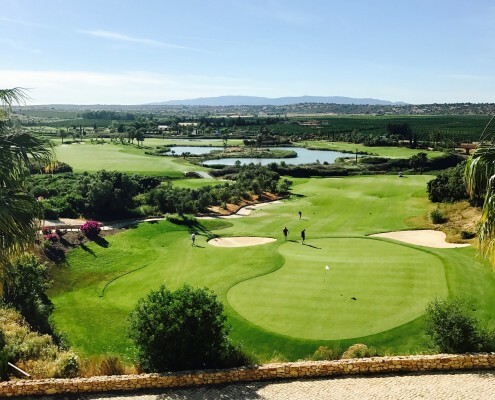 The Tivoli Carvoeiro Hotel has long been a popular choice for holiday makers and golfers visiting the wonderful Algarve in Southern Portugal. The hotel has recently undergone a dramatic refurbishment and has increased its rating from a 4* up to a 5* hotel and boy does it deliver. 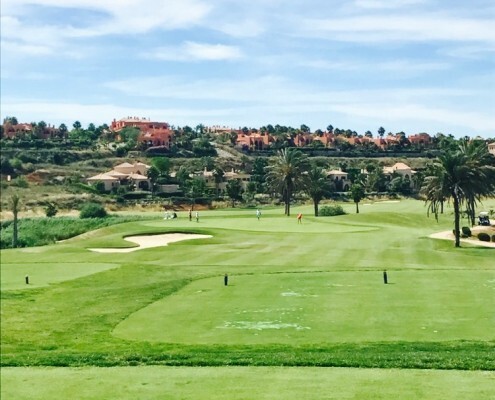 The Golfbreaks.ie team recently travelled to Carvoeiro to get a look for themselves at the changes and renovations. 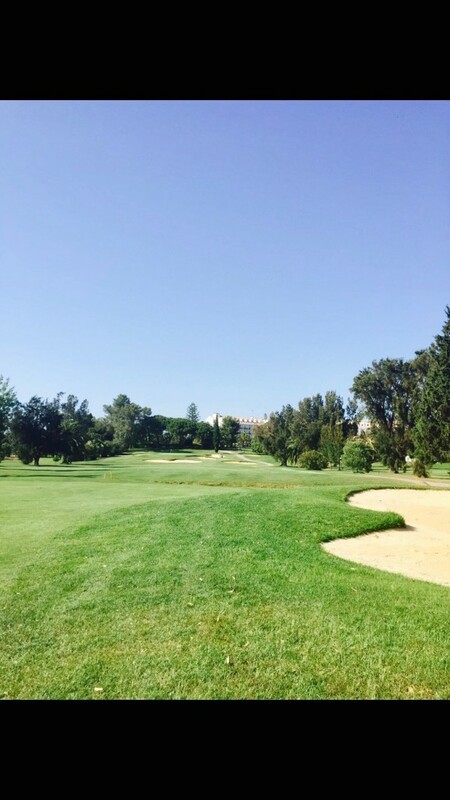 Carvoeiro is a beautiful town and differs from the more commercial locations such as Vilamoura or Albufeira. 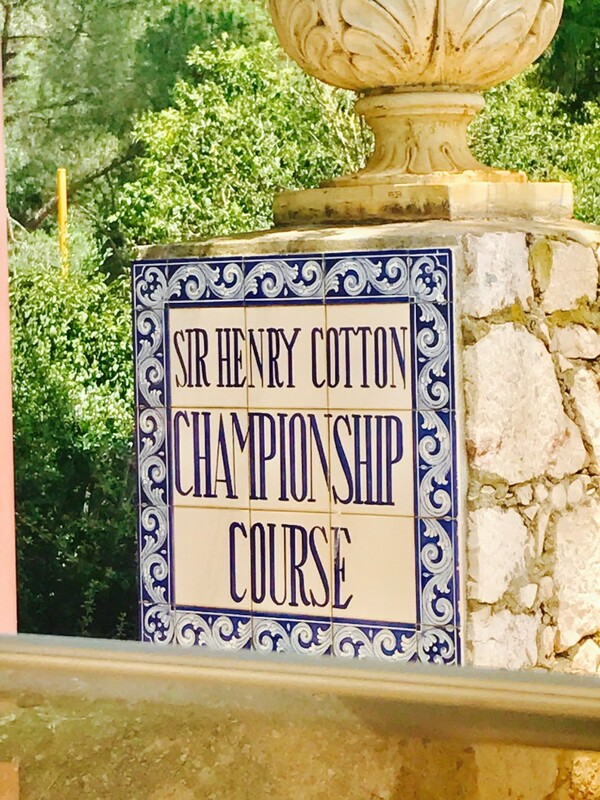 It has a lovely relaxed atmosphere but will still be buzzing with plenty of people about. 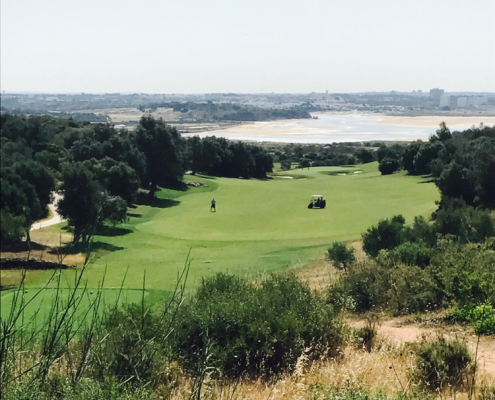 Its growing popularity is mainly due to its great location only 45 minutes from Faro airport, its spectacular beaches, great shops and a very good variety of bars and restaurants to offer. 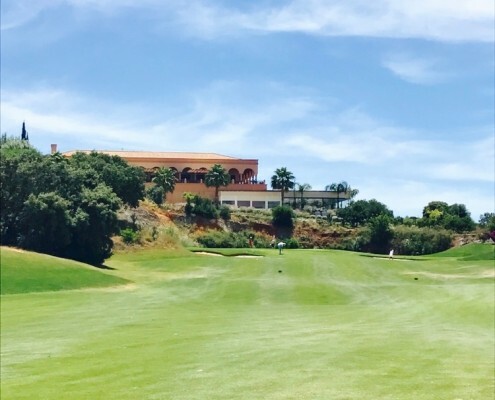 We spent a few nights in the 5* Tivoli Carvoeiro hotel which is located on the outskirts of Carvoeiro village, just a 7 minute walk from the town centre. 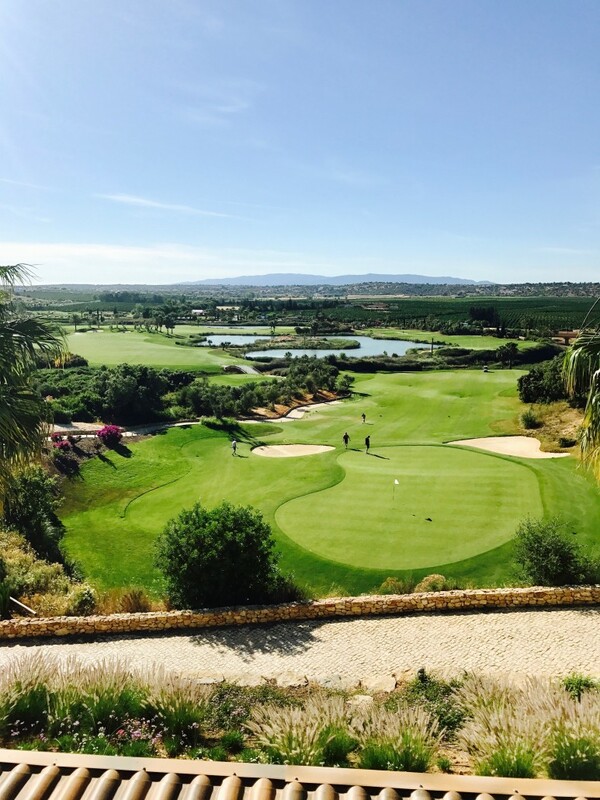 As mentioned the hotel recently underwent a 5 month remodeling project and is now setting a new standard of luxury for hotels in the Algarve. The new design of the hotel has really taken advantage of its privileged location. Upon entering the hotel you get a sense of its very unique design. The hotels reception is situated on the 5th floor and the hotel itself is built into the surrounding cliff. There are 248 fully refurbished bedrooms, suites and for larger groups there are family rooms available. Some of the rooms have private balconies, which overlook the incredible Vale Covo beach that can be accessed by a series of steps or hiking trails which stretch along the cliffs of Carvoeiro. The hotels beach is also a popular location for the local boat tours that also explore the caves dotted along the western coast of the Algarve. 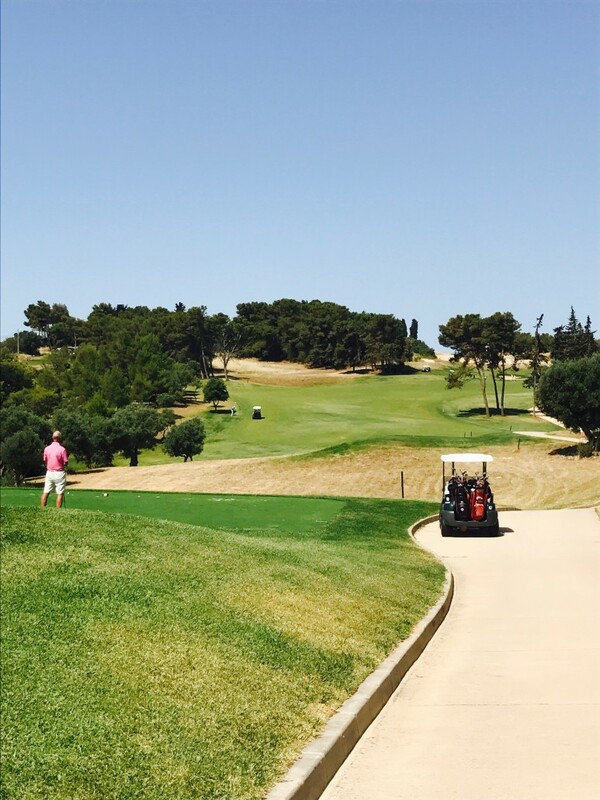 They are many courses in the surrounding area and this week we had the chance to play some of the well known golf courses in close proximity to the hotel. 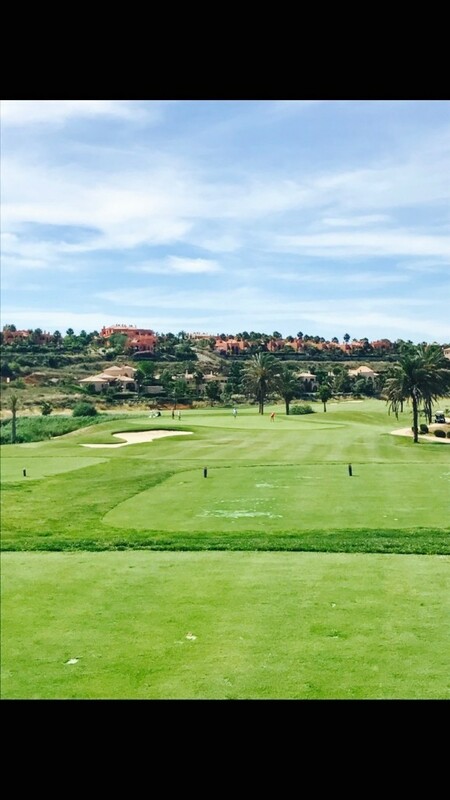 This resort has two Oceanico championship golf courses; Faldo golf course which was designed by Nick Faldo and the O’Connor course designed by Christy O’Connor Junior. 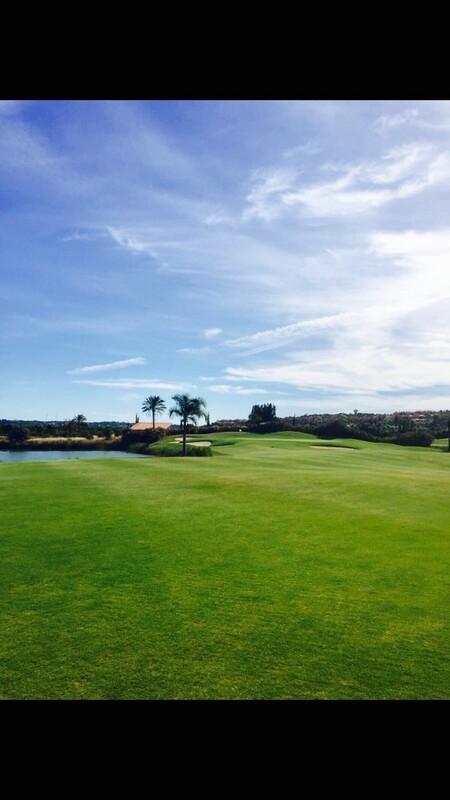 The whole resort is of an exceptional design and outstanding natural beauty. 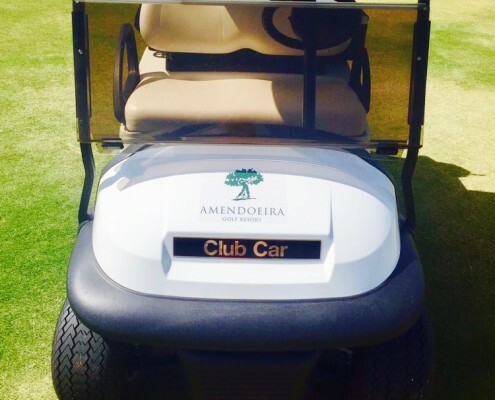 It offers guests top of the range practice facilities and is located close to the town of Armaceo de Pera. 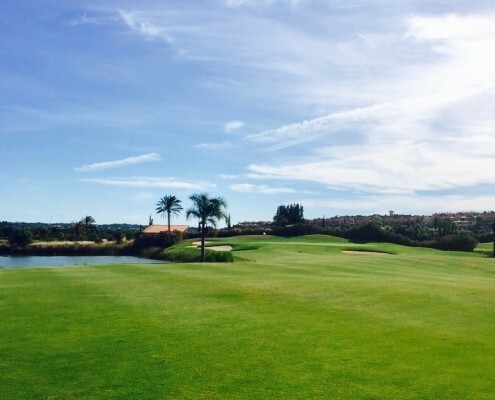 Designed by Robert Trent Jones the 27 hole golf course is situated in the bay of Lagos. 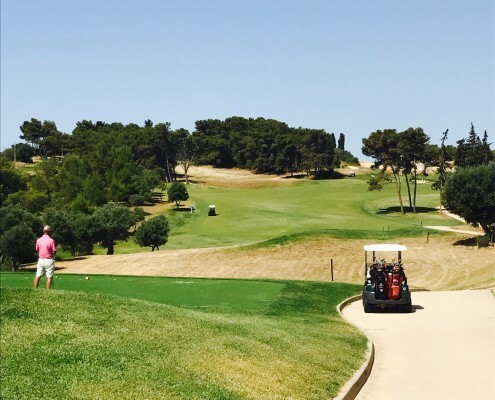 The 3 9-holes are names after the areas they overlook; Alvor, Lagos and Praia. 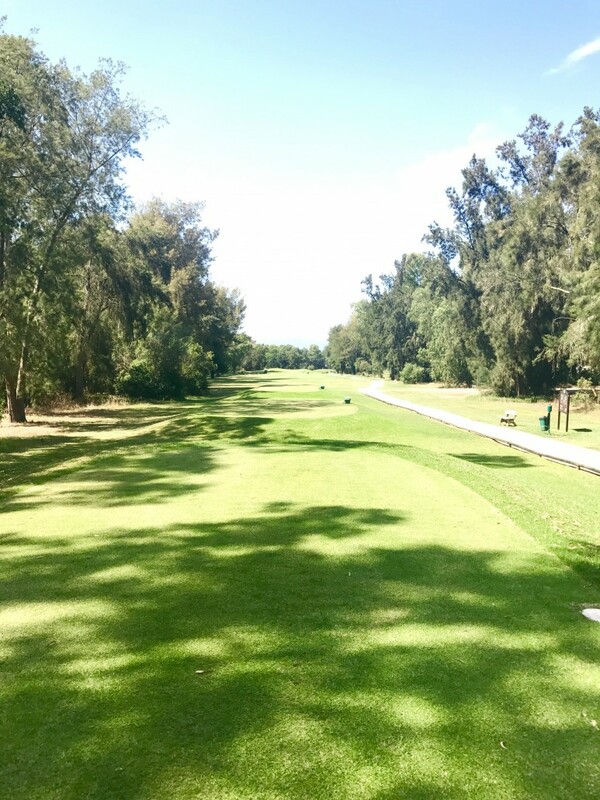 There are plenty of challenging holes around this course especially from the back tees, and is a course that can be enjoyed by players of all levels. 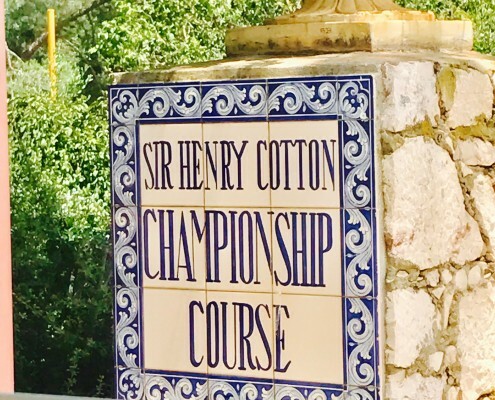 Renowned as the true home of Portugese golf, Penina Championship golf course was designed by Sir Henry Cotton. 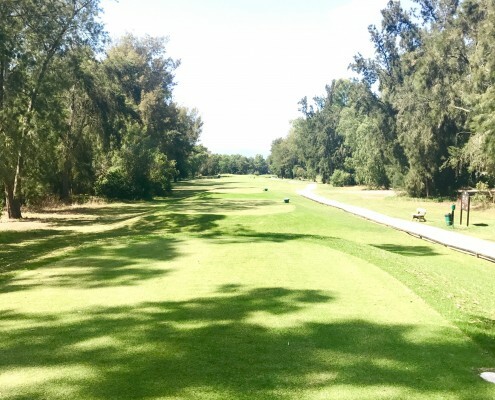 Surrounded by trees, streams, water hazards and ditches this is the first golf course to be built on the Algarve. 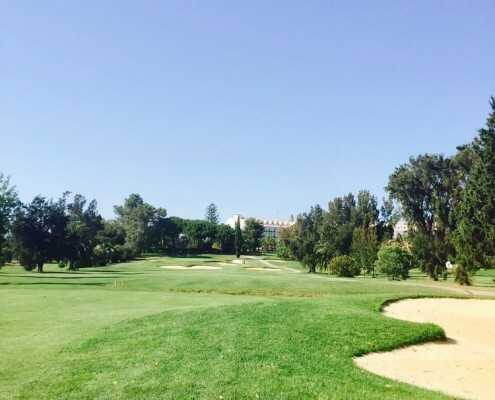 Home to the Portuguese masters for several years it boasts an array of subtle slopes and some breathtaking scenery. 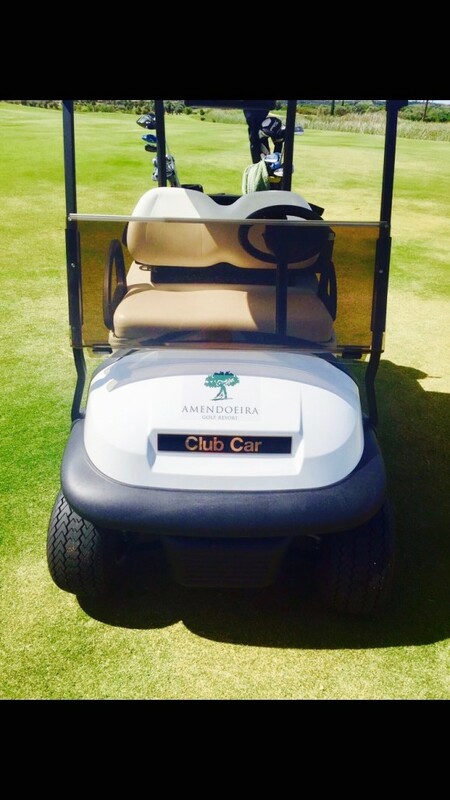 Each of these golf courses were approximately 20 – 30 minutes drive from the Tivoli Carvoeiro Hotel. The main square in Carvoeiro faces out towards a small beach which is surrounded by cliffs on either side. The square is the focal point of the town where there is live music and entertainment each night which can be enjoyed from any of the bars or restaurants which surround it. 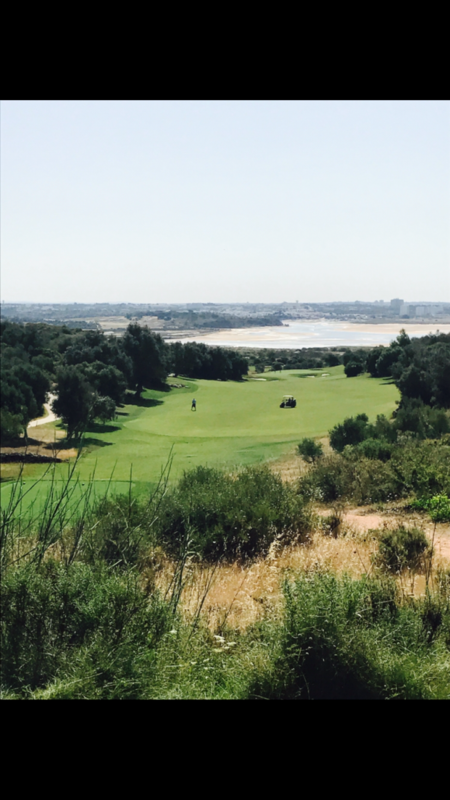 With so much to do and see right on your doorstep Carvoeiro is becoming a very popular area for groups of golfers, a really nice area that deserves its reputation as a top Algarve holiday destination. 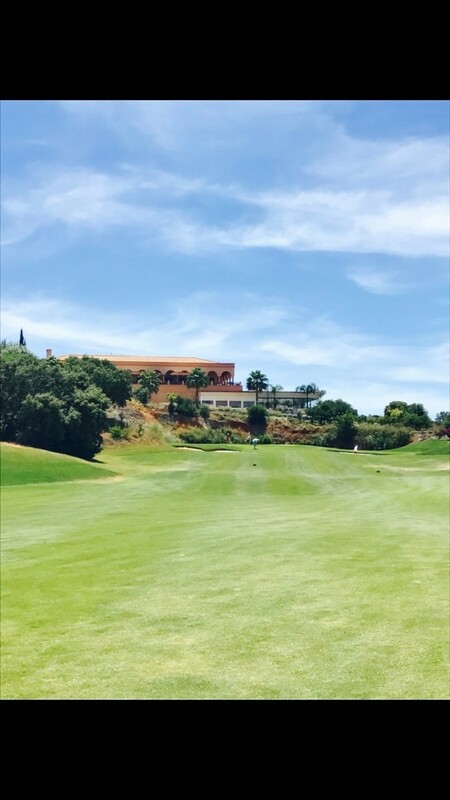 If you would like any information on booking a golf break in Carvoeiro be sure to get in contact with us as along with our expertise we always have great offers available throughout the year.